I love how community efforts gave rise to a beautiful message from the DOC to our friends, globally. 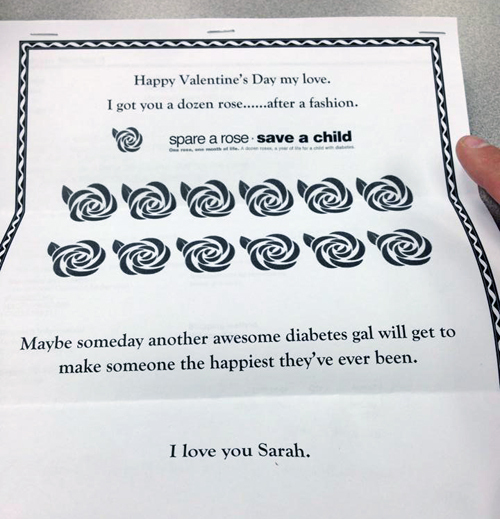 And I also love how folks here at home spared a rose and made this campaign part of their personal love story. … only to find that she had done the same for him. Thanks to everyone for their support, participation, and passion for this effort. I’m already excited to see what we can do next year! 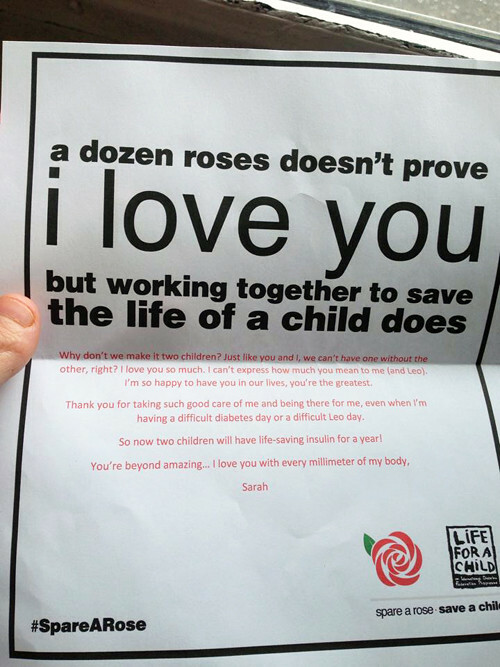 Spare a Rose: Halfway There! Happy Flowerless Valentine’s Day: Spare a Rose. Spare a Rose 2016: Final Totals. Spare a Rose. This made me tear up as well. We are such a strong and powerful community. I’m so very proud of what people did to make this happen. I’m so proud of what the community accomplished with this. Talk about real impact!